Congratulations Jarek on justly topping the MOC of the Month league table for 2018 and to Patrick for landing the runners-up spot. We have two box sets prizes on their way to you. On behalf of the community we’d like to specially thank Jarek, Patrick and actually all our members who shared their creations big or small in 2018. Here’s looking forward to seeing more wacky, weird and/or wonderful builds in the months ahead. View over 120 custom builds on the forum here. 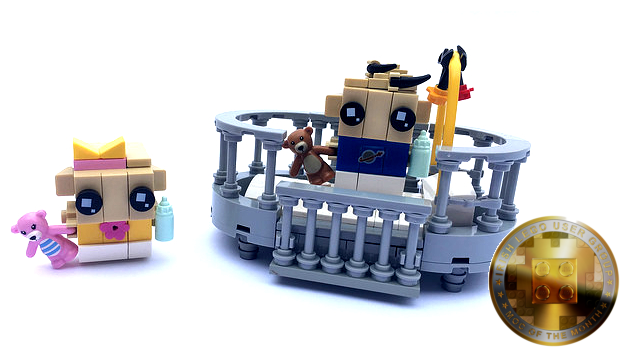 One of our favourite of Jarek’s winning creations, Baby Brickheadz.